In Soviet music—itself the result of the grim politico-cultural reality of the 20th century—Dmitry Shostakovich was the towering figure that no composer could easily escape. Looming was also the state and with it the constrictions on what could be written and what could not be written. No important composers from that period could avoid becoming a victim of censorship, or self-censorship, our outright suppression. Among them are Sofia Gubaidulina (1931, Christopol), Alfred Schnittke (1934, Engels near Saratov), Giya Kancheli (1935, Tbilisi), Arvo Pärt (1935, Paide), Valentin Silvestrov (1937, Kiev), and Tigran Mansurian (1939, Beirut). Religion played a role in their various turns from the musical avant-garde to a language more consonant with most audiences’ idea of beauty. Faith provided meaning in a state that had systematically undermined concepts like truth, value, and indeed ‘meaning’, and it provided courage. That, and doubtlessly a sense of estrangement in a Russia-centric state that forcefully tried to downplay cultural heterogeneity, factored in. It isn’t likely mere coincidence that all the above named composers were minorities in Soviet Russia: Gubaidulina is of Tartar descent, Alfred Schnittke had Jewish-German-Russian background, Giya Kancheli is Georgian, Arvo Pärt Estonian, Valentin Silvestrov Ukrainian, and Tigran Mansurian Armenian. Eventually these composers found their way out of the politico-cultural trap—either through ‘inner immigration’, actual immigration, musical sublimation, or quiet defiance, or any combination thereof. Their musical styles are wildly different from each other, but they have in common a rejection (explicit or not) of both, Western avant-garde and ‘Soviet socialist realist’ music – the latter in any case a deliberately vague political tool more than a stylistic guide. This undercurrent of defiance and beauty is the unifying force as each answered the challenges they encountered in their very different ways. Sofia Gubaidulina answered with much silence, Bach, and rocky, craggy shreds and scraps of sound—deeply spiritual in her own way, but for the most part thorny for the uninitiated ears. Her music is howling, harsh, and yet serene. Schnittke answered with absurdity, humor (irony), mischief, seduction, and complete independence. “Polystylistics” is what Schnittke called his style of wild and rambunctious neo-everything. A professor at Juilliard said so much differently, sneering at the mere mention of the name: “Schnittke, that trash can of music”. It could also have been a compliment. Schnittke picks up all that interests him on the cutting room floor of Western music and reassembles it in his image. It’s as if a waxen mold of a familiar shape had been sitting on a still-hot stove top, and become not so much molten but oddly, subversively askew now. Or as he said of himself: “I set down a beautiful chord, and it rusts.” He first raises, then defies your expectations… a technique Joseph Haydn was a grandmaster in, in his time. Among the best examples of Schnittke’s keen sense for combining ancient structures and harmonies with everything that has sounded between Monteverdi and now, are his six Concerti Grossi—a form not served since the high baroque. Arvo Pärt answered with the most ostensibly religious defiance (“Credo in Jesum Christum”, 1968). His superficially simple, very simply gorgeous, spiritual minimalist music struck, as it were, a chord with audiences, especially in the West, where the inventive Munich record label ECM devoted itself to his music and was rewarded with a sales second only to when they hit gold with their Keith Jarrett recordings. 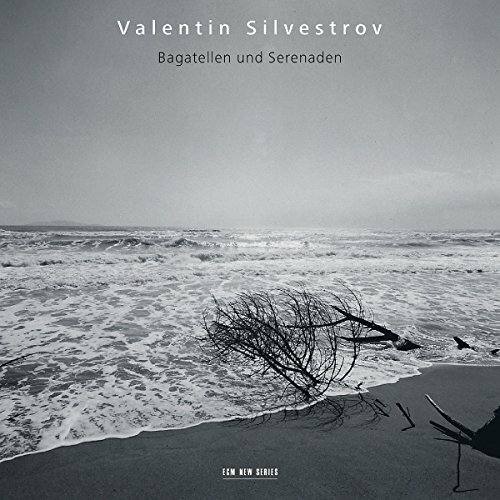 Silvestrov was considered a leading representative of the „Kiev avant-garde," completely at odds with the prevalent Soviet musical aesthetic and therefore the officials. Successful performances in the West – and honorable mention in Ulrich Dibelius’ German standard on modern music “Moderne Musik Nach 1945”– didn’t help to endear the young composer to the apparatchiks. When Silvestrov gradually yet radically switched styles—from conventional dodecaphony via avant-gardism to his ‘metaphorical style’ with a strong mystic bent, also dubbed “new traditionalism” or “neo-romantic”—that too didn’t sit well with the official guardians of musical style. Said Dibelius, in a later revision of his book, slagged Silvestrov off as a “regressive ‘mystical’ poet” when only a few years earlier he had still been a promising “serial-progressive”. (It is not known, but reasonable to assume, that Dibelius got ekzema at the mere thought of C Major or B Minor.) In the Western musicological world his turn from avant-gardism was considered a turn from art to tosh. Silvestrov started composing in a style saturated with musical reminiscence. One of his foremost tools is simplicity but not (though the accusation has been made,) banality. The style certainly resonated with audiences. 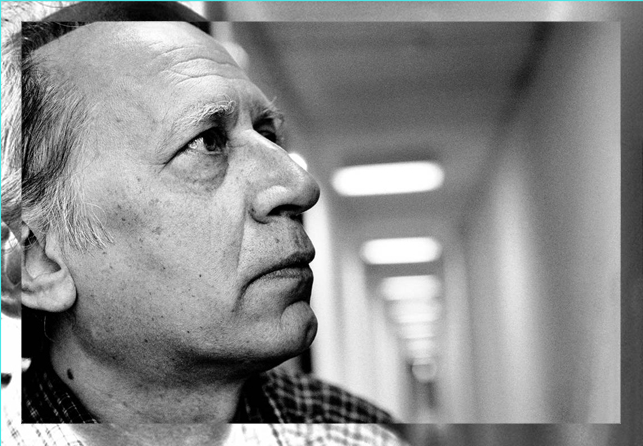 Sofia Gubaidulina wrote about Silvestrov: “People will say his musical language is too simple. But this simplicity is deceiving. It contains a wonderful depth. And this simplicity is truly new – it is a new musical language.” The record company ECM (again) thought so too, and recordings of Silvestrov’s music have done the label well and spread Silvestrov’s music near and far… perhaps nearly as much as did Gidon Kremer. Also not a Russian but a Latvian and also forced to seek exile in Germany (like Pärt, Schnittke, Gubaidulina)—his importance for all these composers cannot be overstated. 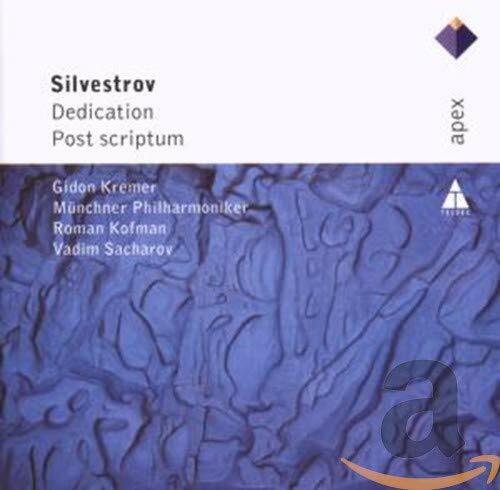 Many of Silvestrov’s works are dedicated to Kremer and/or were premiered, recorded, and continuously championed by him. The Munich Radio Symphony Orchestra, not to be mistaken for either the Bavarian RSO (Mariss Jansons) or the Munich Symphonic Orchestra (Georg Schmöhe / Philippe Entremont), is easily overlooked in Munich, being the fifth among the six professional, proper-sized orchestras of the Bavarian capital. (The MPhil, Bavarian State Orchestra [the opera orchestra], and the Munich Chamber Orchestra [MKO] are the others.) The key to making a mark in an increasingly tough culture market as a second tier organization is to be different, more intelligent, more daring, and more flexible than the big boys in town. The MKO has created the local template for that, and the Munich RSO is doing that, too, branching out into both the educational and ‘rarified’ direction. 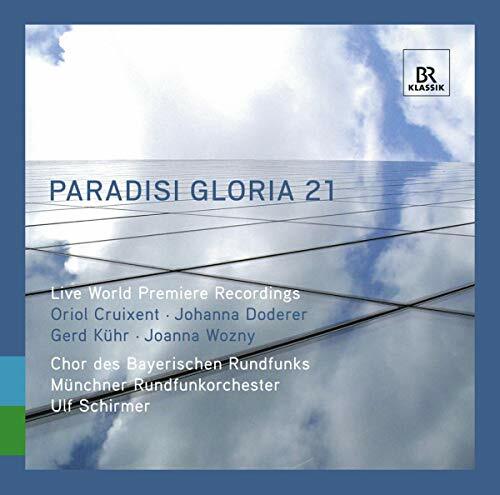 The latter is exemplified by their series “Paradisi gloria”, which consists of secular music of the 20th and 21st century, performed in the wonderful, fittingly modern, catholic Herz-Jesu (of the Sacred Heart) Church—one of Munich’s few modern architecture gems. The programmed music is often challenging, but with the prevalent conservative musical taste in Munich well covered by other bands, those in search of wider musical horizons eventually find the MRSO’s series. The response to Paradisi gloria, in any case, is enthusiastic and loyal. Peteris Vasks, Arvo Pärt, John Taverner, Morton Feldman, Alan Hovhaness, Tōru Takemitsu and the like are already the traditional elements on these programs, enriched by commissioned contemporary, or otherwise less well known works. 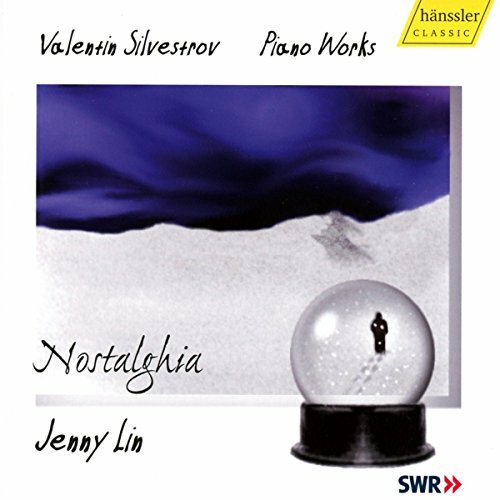 A CD with these new commissions from the 2009/10 season was issued by BR Klassik late in 2010. 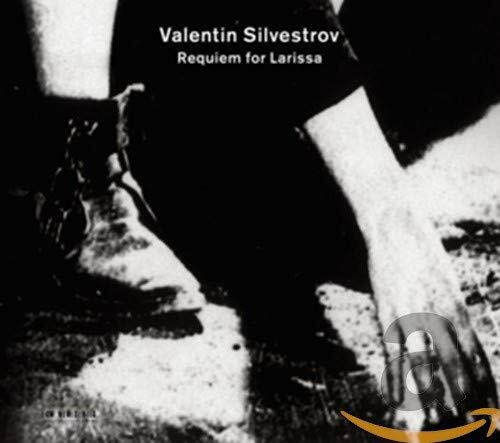 The program on June 17th (2011) consisted of Valentin Silvestrov (hence the lengthy introduction above), featuring “Two Dialogues with Epilogue” and the “Requiem for Larissa”, written after the death of his wife. “Two Dialogues”–between Schubert and Wagner—is first a gorgeous, melancholic meditation on the “Kupelwieser-Walzer”, said to be by Schubert, but only orally passed on until finally written down by Richard Strauss in 1943. In the second part it works off a theme in A-flat that Wagner jotted down around 1858 (WWV 93). The strings heave throughout to the strung-along Wagner theme, swelling and receding like the sea visiting and leaving the shore. The whole string apparatus is eventually interrupted by (possibly ominous) tremolos played by the pianist directly—with two fingers of each hand—on the strings of his instrument. The Epilogue, dedicated to Pärt, alludes to something that must have been, or happened, before the music even started – and thus pre-flects a sense of ambiguity on the beginning of the entire work. Emblematic of Silvestrov’s music, and particularly notable here, is his focus reflection, harmonic vibration; response and reaction; the shadow or impression or echo of a thing, a theme, a topic, but never the thing itself. A short but pretentious reading of Rainer Maria Rilke’s “Requiem für eine Freundin” bridged (or rather: interrupted) the concert before it continued with the “Requiem for Larissa”. The requiem consists of music itself consisting of echos and fragments, blocks, bleakness, entrancing sameness and timeless calm. Artificial reverb from the synthesizer creates a feeling of distance (Silvestrov’s audialization of memory) that mingles with the already reverberant brass and lulls the senses. The ever-impeccable BR Chorus, occasionally instructed just to hum, provided a tapestry above which soloists from within its ranks emerged and receded. The Requiem has much going for itself, just not brevity. Repetitiveness, even of beauty, can become tiresome, and while certain minimalist pieces might require the run-up and sheer length to establish the desired effect (think Einstein on the Beach), there is nothing in this music that suggests that the Requiem couldn’t be as (or more) effective and touching if it were a little shorter. (Unless, of course, the desired effect were fatigue.) In that sense the work is better suited for private listening with a Scotch and Soda nearby and a comfortable chair, rather than hard church benches, to sit in. Andres Mustonen from Tallinn, founder of Hortus Musicus, is especially at home in early and contemporary music, and while he looked like he had just come from a yoga seminar—with his red scarf, long gray hair put up in a tulip bun on his head, and a fluffy black smock that could have doubled as sweatpants—he was truly the spiritus rector of the excellent performance.